DPD, one of the leading international parcel and express delivery companies, is increasing the performance of its German network by two new sorting depots. The sortation systems for the new depots will be designed and installed by Vanderlande Industries. Both of the new depots, to be located in Erftstadt and Fhren, will have a high level of automation for efficient handling of the wide range of shipments to be unloaded, processed and sorted rapidly and reliably. The Erftstadt depot in particular sets challenging performance requirements: the unloading rate of around 18,000 parcels per hour, as well as the need to transport and sort tyres both individually and in stacks, together with the regular range of shipments will be unique among DPD's existing 75 depots. The building's large size and 320 loading docks underline its unique position within the international DPD network. At the heart of the system in Erftstadt will be two CROSSORTER 1500 sorter loops, each with a length of more than 400 metres. These are designed to handle shipments measuring up to 1,500 mm x 800 mm at a speed of 2.5 metres per second. The high system performance is further underlined by the sorting capacity of over 11,000 parcels per hour of each CROSSORTER 1500. As well as their high performance, the CROSSORTER1500 systems also offer highly efficient use of energy and other resources, thereby helping DPD to reduce operational costs. A detailed TCO (Total Cost of Ownership) carried out earlier provided information on the expected costs over the useful lifetime of the systems, transparently demonstrating the economic advantages of the system design. At both the new depots, input of parcels to the system is by telescopic belt conveyors including automatic weighing, scanning and volume measurement. The Fhren depot will handle around 8,000 items per hour. After unloading, the flow of parcels is routed by a presorter to two conveyor levels. Parcels are loaded to different destinations handling vehicles from small delivery vans to large container trucks. The output conveyors therefore differ in configuration and layout. 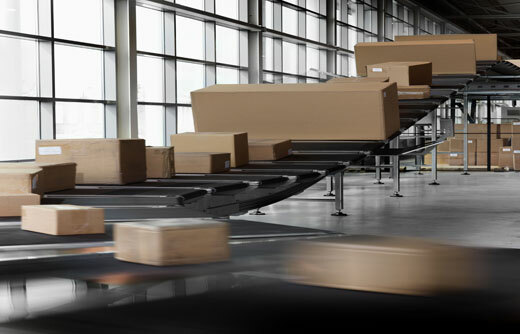 Sortation of parcels to containers will be carried out reliability and at a high throughput rate by a Vanderlande POSISORTER with a length of around 80 metres. 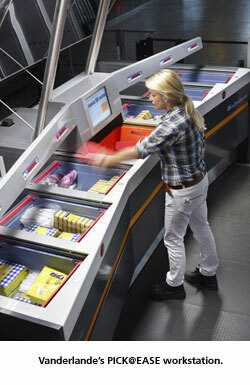 Start-up dates of the new sortation systems will be December 2011 in Fhren and summer 2012 in Erftstadt. The new depots will replace the present locations in Frechen and Sehlem. The systems at both sites once again underline the successful relationship between DPD and Vanderlande Industries.